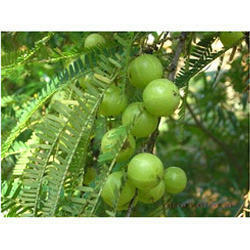 Leading Manufacturer of amla extract from Namakkal. According to Ayurveda Amla is effective to improve digestion, reduce fever,to purify the blood, reduce cough, alleviate asthma, strengthen the heart, benefit the eyes, stimulate hair growth, enliven the body, and enhance intellect. It is very effective to control acidity. We are manufacturing Extract ( Spray Dryed )containing 15%,20% and 40% tannins. For Technical Specification contact us.